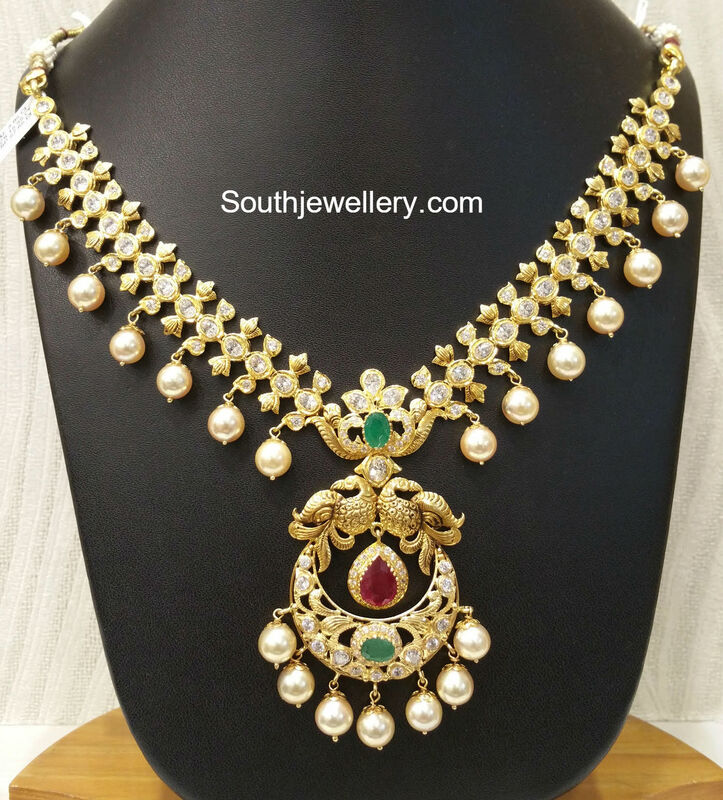 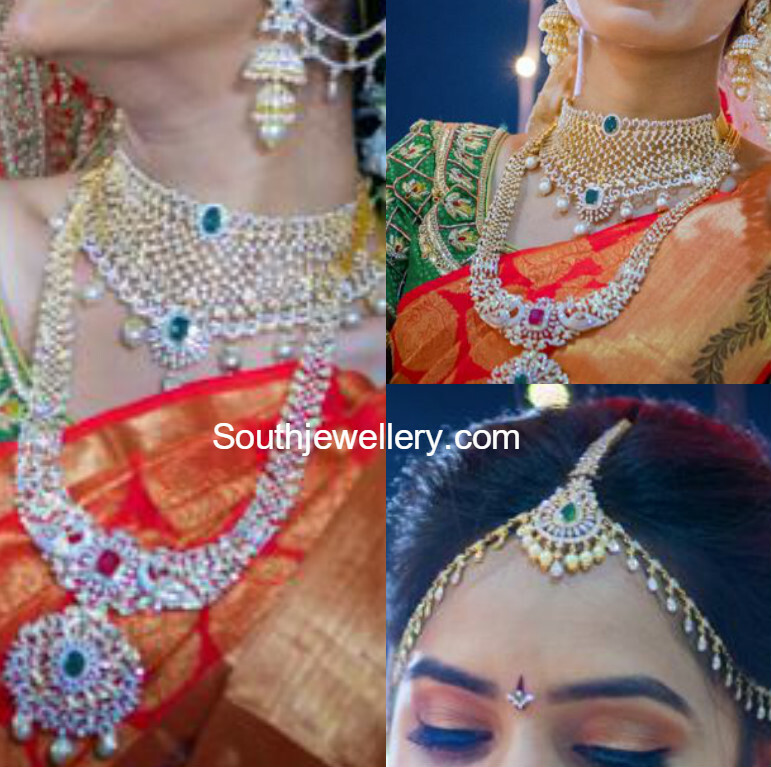 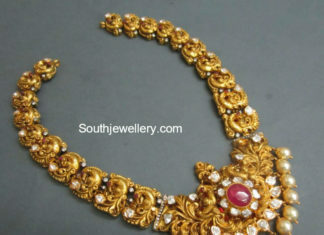 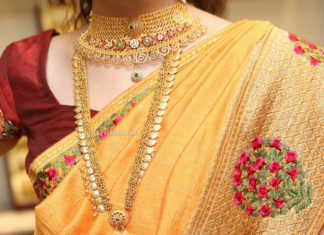 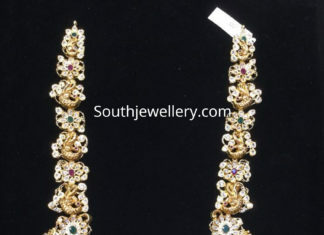 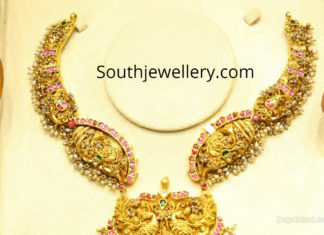 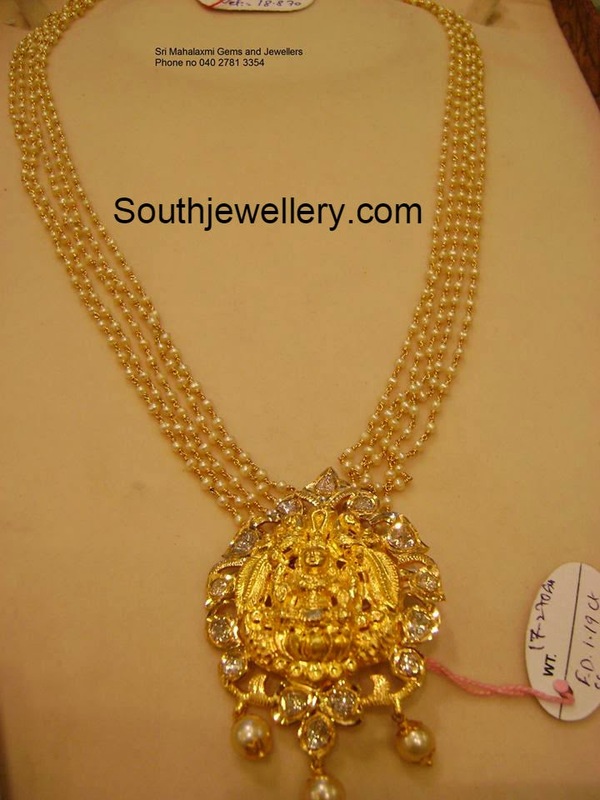 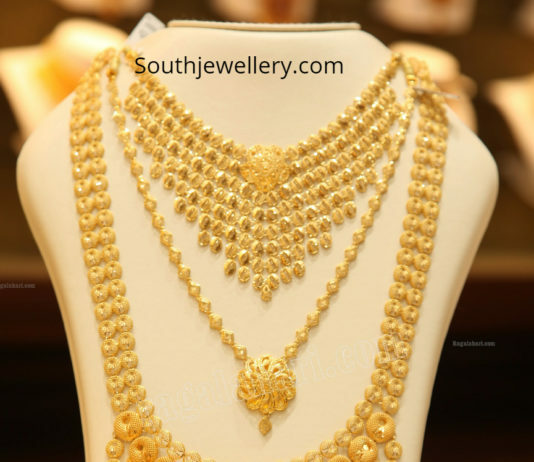 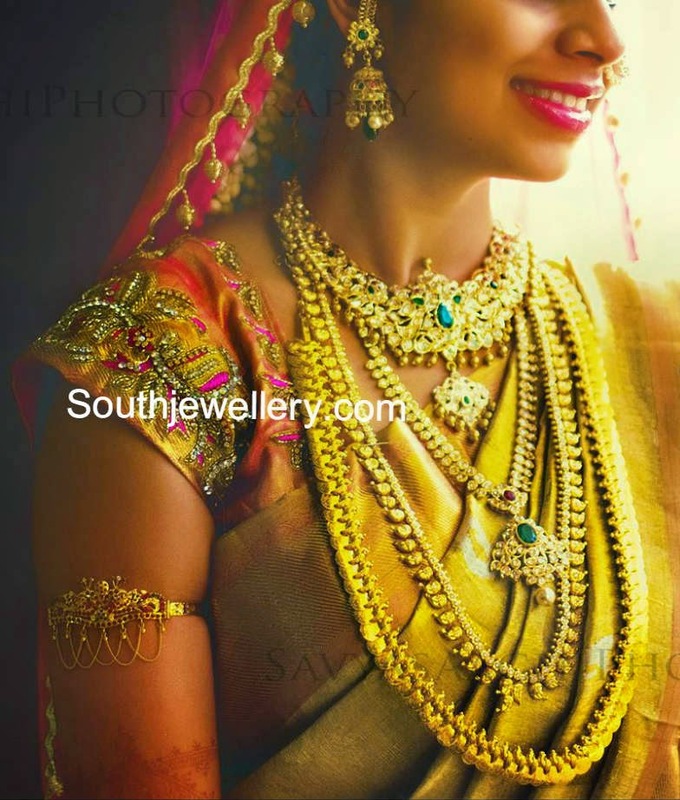 22 Carat gold choker, long kasu haram and CZ peacock Lakshmi vaddanam by Manepally Jewellers, Hyderabad. 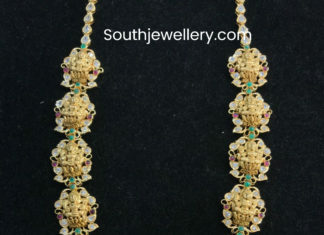 22 Carat gold antique peacock nakshi haram adorned with cz stones, rubies ,emeralds and south sea pearls. 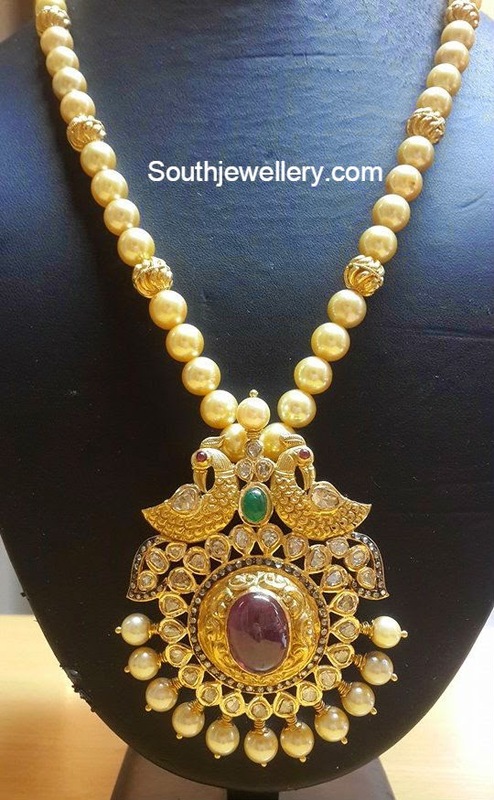 22 Carat gold antique finish peacock nakshi haram adorned with polki diamonds, ruby and south sea pearls by VJ Jewellery Vision.